What happens when the leading man in a play at your theatre, which has no understudies, has to go to the hospital minutes before curtain up at a sell-out performance? Grab a script and go on yourself, of course. 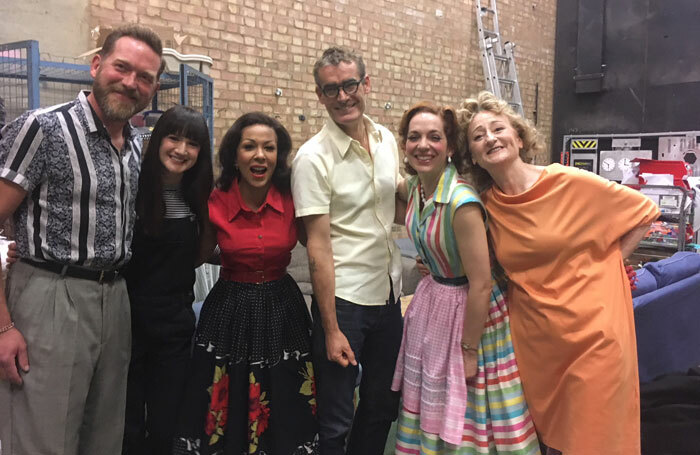 That’s what happened at the National’s Dorfman Theatre last Friday when Richard Harrington, the lead in Laura Wade’s new play Home, I’m Darling , had to pull out of the performance and the NT’s artistic director Rufus Norris stepped in to play the role. By chance, I was at the performance and after a delayed curtain up time of 30 minutes, the show went ahead. Norris’ first line was met with applause from an audience who knew it had just become part of a performance that would go down in National Theatre history. Despite a struggle with opening a fridge during Act I, some puzzlement over props in the latter part of Act II, and a few dodgy dance steps, Norris got through the performance with aplomb, together with a mix of energy and delight from his fellow cast members who did an equally fine job acting around him. I found it hard to imagine Norris’ predecessors, Nicholas Hytner, Trevor Nunn, Richard Eyre or Peter Hall jumping in with quite the same gusto. It puts him closer in many ways to the artistic leadership of Laurence Oliver who, if faced with a similar dilemma, I could envisage picking up the script and doing the same. Norris saved the performance but he also made an important statement about the National: that it is a company. Today, that can sometimes be forgotten, especially amidst the inevitable commercial operations of the building itself. But with Norris unafraid to roll his sleeves up and step in to the breach, it reflects a reactive leader, and that he is truly a company man. It was a similar example that Liverpool Everyman and Playhouse artistic director Gemma Bodinetz demonstrated back in May when, at short notice, she stepped into a performance of Paint Your Wagon at her theatre , replacing an actor who had been taken ill. Both Norris and Bodinetz, as artistic leaders, demonstrated their passionate commitment that the show must go on. Often when a problem occurs, even close to a performance’s start time, it’s easier just to cancel and reclaim that loss back on insurance. 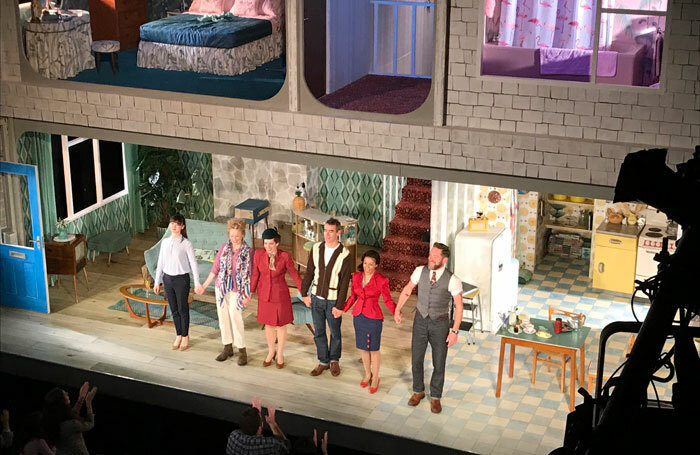 It leaves an audience disappointed and, as in the case of a sell-out limited run such as Home, I’m Darling, no other opportunity to see the show. Instead, both Norris and Bodinetz’s instinctive reaction to the problem not only kept the curtain up but also created an ‘I was there moment’ that audiences who witnessed it will enjoy retelling back to others. It was much the same in 1999 during the West End run of Alan Bennett’s The Lady in the Van, which featured two actors playing Bennett. On one Saturday, the wife of Nicholas Farrell – one of the two actors – went into labour and he had to miss the performance. Bennett had reluctantly agreed with director Hytner that if this should happen, he’d cover. So, the playwright himself gave a special performance in his own play with a pre-show announcement telling the audience that, “due to the indisposition of Nicholas Farrell, the part of Alan Bennett will be played by Alan Bennett”. There is a certain old-school nostalgia to such stories. They seem a throwback to the glory days of repertory theatre when a company saw no excuse for the show not going on. As well as making good showbiz anecdotes, it should not be underestimated how much these out-of-the-ordinary events galvanise staff and audiences. A buzz engulfed backstage at the National last Friday when it became apparent what was about to happen. Together with the respect it generated from the National’s staff, many of whom excitedly crammed themselves at the back of the auditorium to watch, it felt like a real coming together. Success in theatre is fuelled by teamwork, where a combination of everyone’s skills and passionate commitment contributes in bringing a work to the stage and then, crucially, maintaining it during the run. What happened last Friday at the Dorfman reaffirmed both the importance of teamwork and strong frontline leadership. It also served as a valuable reminder that theatres are not run from behind desks. The artistic director tackled the problem himself and provided a solution, with his team coming together to help successfully deliver it. It must also have proved reassuring for the National to know that if an actor does get sick at short notice, then a potential cover is only an office away.